Heating: It can get very cold up here in upstate New York, and the team here at Lakeside Mechanical believes that every household should be able to count on having reliable, well functioning heaters. That’s why we proudly offer high quality and affordable repair, installation and replacement services to cover all of your heating needs. Air conditioning: Once summer comes around, there is nothing better than having a nice, cool house. Through our excellent cooling repair and installation services, we here at Lakeside Mechanical can ensure that your family has a comfortable, safe home all year round. Electrical: Beyond just heating and air conditioning in Sackets Harbor, NY, Lakeside Mechanical is proud to offer a wide range of electrical services, including emergency plumbing, HVAC work and electrical work on both new builds and remodels. 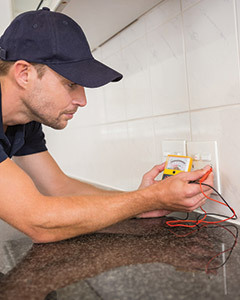 Whatever electrical work you need, we are committed to providing it. 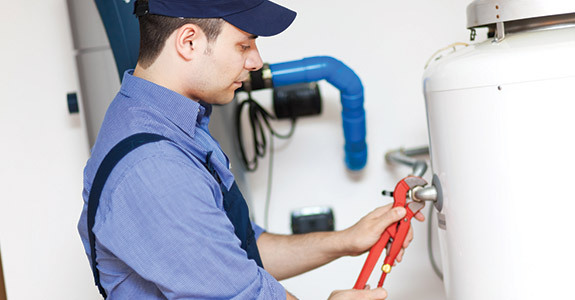 Lakeside Mechanical carries a variety of critical plumbing, HVAC and electrical products, including boilers, water pumps, heaters, electrical supplies and A/C units. Our products are manufactured by some of the industry’s most trusted brands, including Weil-McLain, AO Smith Water and Goulds Water Pumps, so you can depend on them for long-lasting quality. If you would like to learn more about the different products, brands and services that Lakeside Mechanical has to offer, we invite you to please get in touch with us anytime. You can reach us by calling 315-783-7905, or by visiting our Contact Us page. We are also available via phone during off hours for emergency plumbing situations.